8 nominees here too, and a very close vote. In the ‘honourable mentions’ list come two of the more ‘senior’ members of the driving fraternity, one of whom retired in 2005, the other who came back from retirement. Stand up Leo Hindery Jr and Elliott Forbes-Robinson. Then there are two ‘backroom boys’, Pirelli PR guru Jack Gerken, a man whose infectious enthusiasm has the effectiveness at close range of a high yield hand grenade and, perhaps his long range equivalent, John Hindhaugh, his Radio Web performances just seeming to get better and better. In equal second place comes a trio of popular players. Emanuele Pirro picks up more fans and admirers every time he opens his mouth or gets behind the wheel of an Audi LMP1. Utterly charming, effortlessly professional and all of this with an Italian flair. Then we come to the two big guns of GT1 in 2005 – Corvette for their racing effectiveness, fan friendliness, openness to competition and sporting attitude throughout the season and ACEMCO for their similar, albeit less well resourced characteristics. Both deserve huge praise for an excellent 2005 season. The winners here though are sportsmen through and through – from the guys behind the wheel to the man wielding a broom in the pit garage. 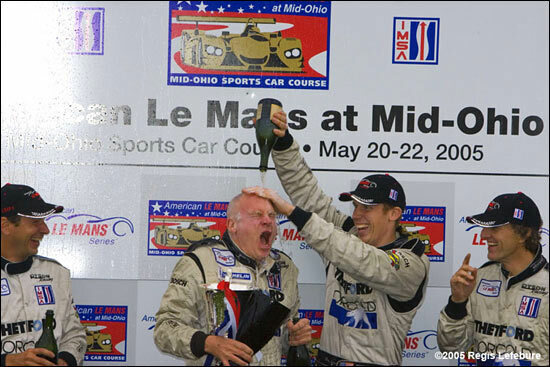 Their year-long battle with the Champion Audi squad was almost a classic David and Goliath story and the fact that the R8s prevailed didn’t detract one little bit from the epic in ten parts that composed the 2005 ALMS season. Throughout it all there was grit, determination and emotion on show – their racing really means something to the boys (and girls) from Poughkeepsie. 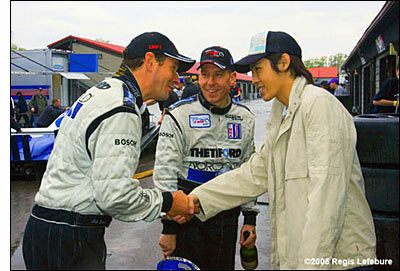 The dailysportscar.com 2005 North American Award for the Spirit of Racing goes to Dyson Racing. And that concludes our detailed awards process for 2005. With thanks to Graham Goodwin for assembling all the information, and our contributors for their thoughts on the season.